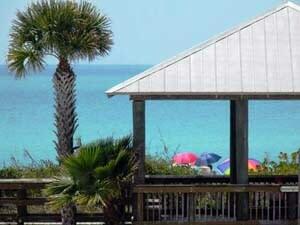 Englewood Beach, Florida. Photo by Eileen Ludwig, www.freelancetourist.com The following is a guest blog post by travel blogger Eileen Ludwig of FreelanceTourist.com. 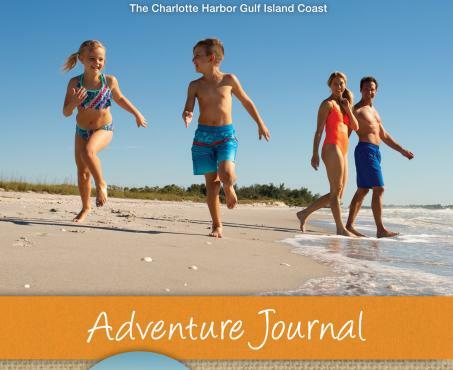 Charlotte County comprises of the Gulf coast, harbor tours, eco-tours, sailing, and wilderness adventures. 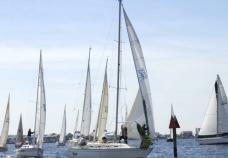 Year-round events and festivals for pirates or swimming across the river help easily fill the weekends. Many Northern people have transplanted to this charming area of Florida or they are snowbirds who only come in the winter. People here are far enough from busy Central Florida yet close enough to drive up for a weekend if they want to do a theme park. 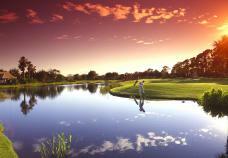 Most prefer their neck of the woods with more down to earth activities and easy life. 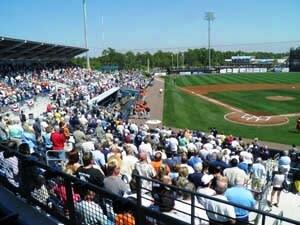 Tampa Bay Rays Spring Training at the Charlotte Sports Park. Photo by Eileen Ludwig, www.freelancetourist.com Batter Up! Baseball in March for Spring Training is a fabulous event whether the Tampa Bay Rays or Charlotte Stone Crabs are your team. The Charlotte Sports Park is humongous and incredibly enticing with its walk around boardwalk. 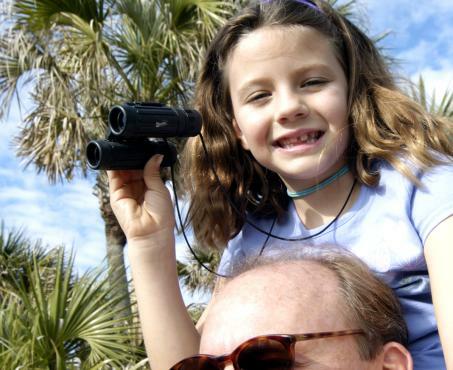 Once snowbirds leave locals and visitors enjoy the Charlotte Stone Crabs for baseball fever. Loved this stadium for all it offers. Exciting to be in the outfield on the boardwalk and looking in to home plate. What a fantastic ball field! End of the Line Mural in Downtown Punta Gorda. Photo by Eileen Ludwig, www.freelancetourist.com Historic Punta Gorda The railroad made Punta Gorda the end of the line. 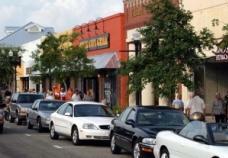 Punta Gorda is a section of Charlotte County with small-town charm and the ability to walk or ride a bike around. The bikes are free to borrow. The murals on the buildings are outstanding works of art depicting the history and times of this wonderful area for all to have history right up close and personal as you walk. 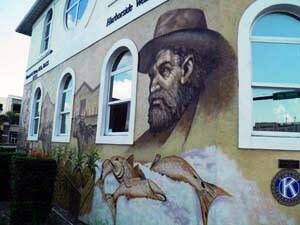 Get a map of the murals and leisurely walk from place to place to see these great works of art. Fishermen&apos;s Village in Punta Gorda. Photo by Eileen Ludwig, www.freelancetourist.com. 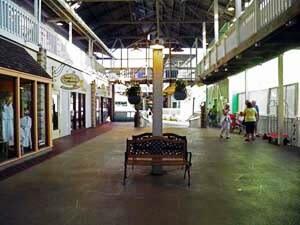 Fishermen’s Village is a great place to explore with condo rentals above the stores. An open-air mall offers benches along the way to rest, or just chat with your neighbors or traveling buddies. 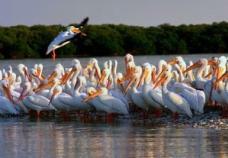 King Fisher Fleet has an eco-tour which I did not have enough time to take but would in the future. For sunsets sitting in the restaurants at the end of the pier will give you a nice view over the water. Friday and Saturday there is music in the early evening for your enjoyment. 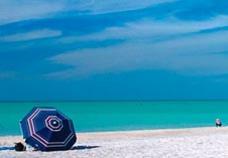 Another Day in Paradise at Englewood Beach, Florida. Photo by Eileen Ludwig, www.freelancetourist.com It’s a Beach Thing There are always beaches for sunsets, too. State Park Stump Pass is a busy beach with Englewood Beach right next door with lots of colorful umbrellas. 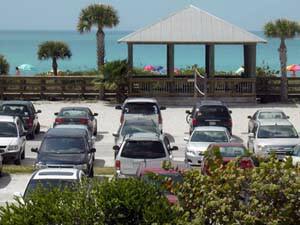 Restaurant right across from the beach called the Gulf View is wonderful for a morning omelet stuffed with crab meat. 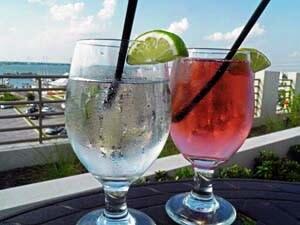 Refreshing Beverages on the Wyvern Rooftop in Punta Gorda. Photo by Eileen Ludwig, www.freelancetourist.com Places to Relax There are many places to sit in a park or along the harbor to enjoy the sea breezes and being outside. Being on top of Wyvern Hotel in Punta Gorda with drinks in hand is a great way to enjoy the end of the day gazing out over Charlotte Harbor and beautiful blue sky. Don&apos;t miss the other fun activities throughout the year. July brings the Pirate Fest at Fishermen&apos;s Village, Wednesdays bring music to the Bean Depot Cafe and Dragon Boat Races for an exciting event in April. ___________________________________________________________________________________ Eileen Ludwig, travel writer of Freelance Tourist brings to the world insights about places to travel, discounts, Staycations, Restaurant Reviews, movie reviews, and fascinating tibits. She is owner of three other sites: Photography, Web Design School, and Social Media School. Each are in different stages of development and evolution. Follow her on Twitter and Facebook.